I thought you were never ever ever ever coming home ever. So I panicked. 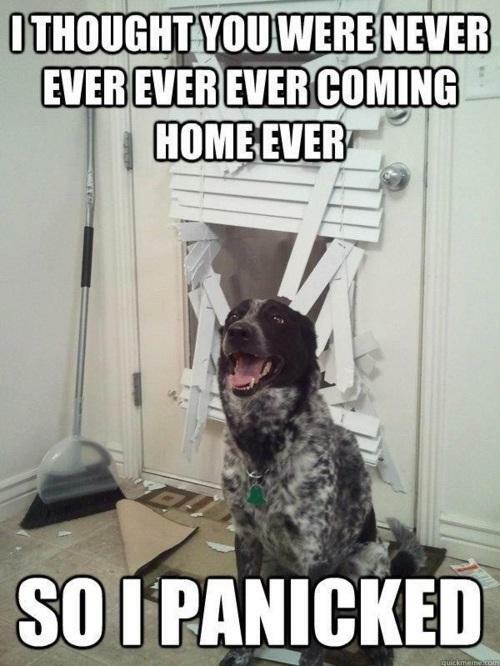 I thought you were never ever ever ever coming home ever.